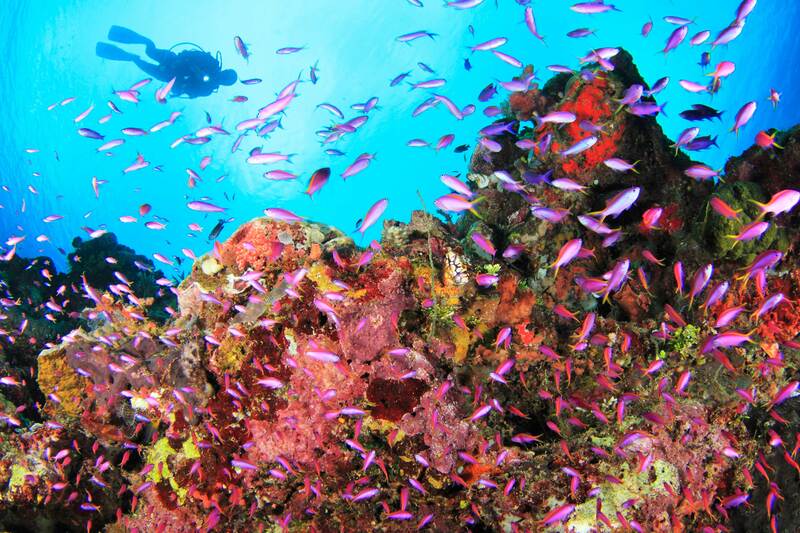 Papua New Guinea Diving Holidays | travel&co. 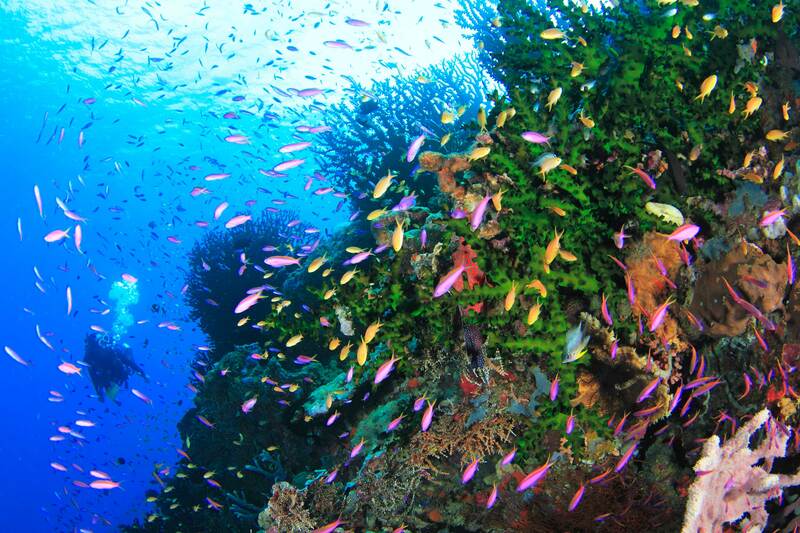 In the heart of the coral triangle, with over 600 islands, and 52,000 sqm of reef systems, the exotic and unexplored dive sites of Papua New Guinea offer a spectacular diving experience. Explore a mix of barrier reefs, coral walls and gardens, patch reefs, sea grass beds, coral atolls and wreck dive sites teeming with amazing marine life. The diverse dive sites feature drop offs and swift passages packed with marine pelagics. This province is surrounded by pristine coral reefs, islands, and backed by rugged mountains. Providing amazing underwater sightings and extraordinary photo opportunities. Resort’s purpose built dive boats are its secret weapon taking divers to dozens of sites. Papua New Guinea covers the eastern part of New Guinea, the second largest island in the world, and lies entirely within the tropics just 160km north of Australia. PNG is one of the most naturally diverse countries on earth. The Owen Stanley Ranges and its dense rainforest are home to unique flora and fauna but not too far from there you’ll find sandy beaches and bays and more than 600 offshore islands, atolls and coral reefs. Due to the rugged landscape there is no road system in place in PNG and therefore the main means of transportation is by air (there are over 490 grass airstrips), boat or walking. 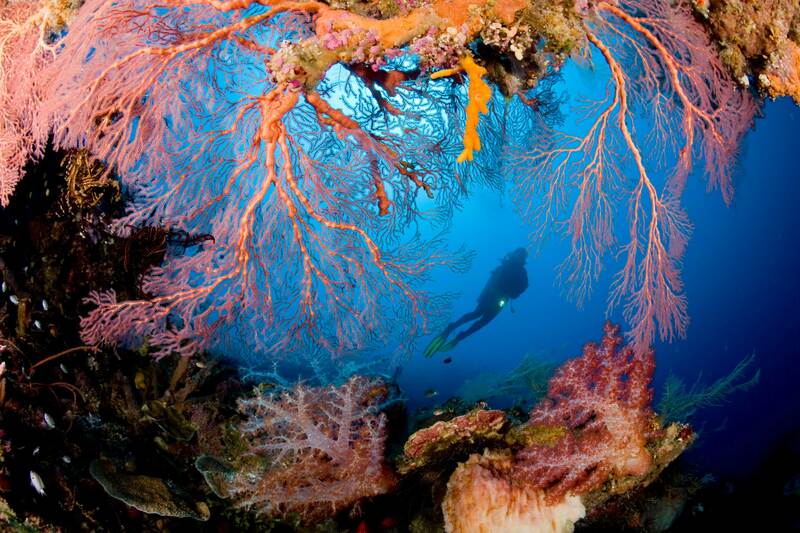 Underwater photographers often refer to PNG as the underwater Garden of Eden. Many international award-winning photos have been taken in Papua New Guinea. The incredible healthy variety of reefs, the diversity of marine species and the wrecks of ships, airplanes and even submarines really make PNG the best diving destination in the world. 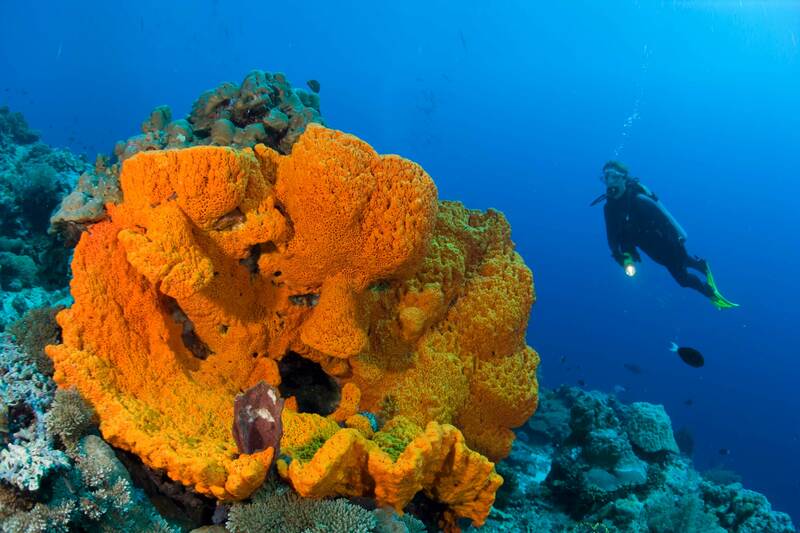 On PNGs mainland you will find excellent diving facilities in Port Moresby (Loloata Island), Tufi, Milne Bay and Madang. You can also explore the PNG Islands, New Britain and New Ireland. Both offer great diving experiences. For New Britain you will find Rabaul and Kimbe Bay are the hot spots and for New Ireland it’s Kavieng and Lissenung, a little island just off New Ireland. PNG truly is a country of great adventure where you can enjoy experiences found no other place on earth and you’re sure to never forget. With more than 800 different tribes and more than 850 languages to be found in PNG, it’s unique and untouched culture will exceed any expectation. There are remote villages throughout PNG where tribes still maintain their heritage through sing sings, arts, dance and other cultural performances. The cultural festivals are a must do, the world famous Mt Hagen or Goroka show, the National Canoe or Mask festival were tribes perform en-masse. The tribes love to perform in their traditional clothing and very colourful make-up, and love to share the customs of their tribe with you. Due to rugged landscape, there Is no road system. Therefore the main means of transportation is by air (there are over 490 grass airstrips), boat or walking.